A couple of months ago, I released the first episode of my "Not so MASSIVE Tech Unboxing", and I had a lot of fun doing it. 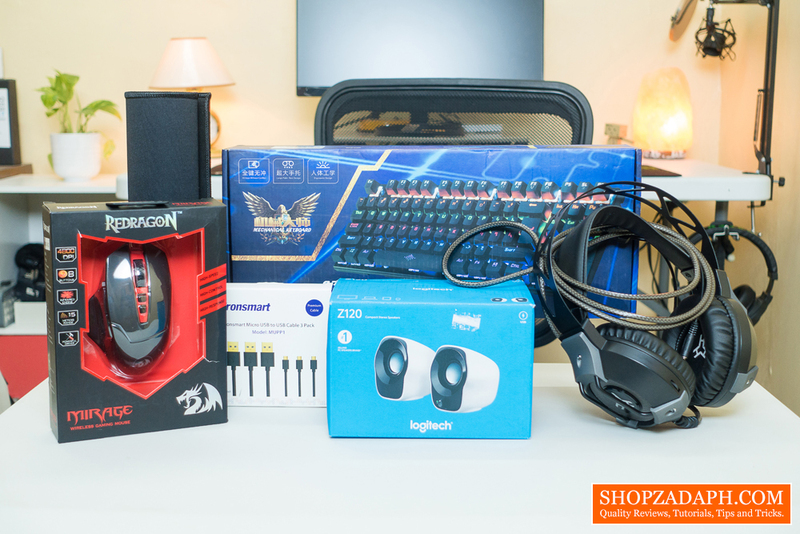 It was a mix of different audio devices and budget gaming peripherals and it was also a nice way to tease you guys about the upcoming product reviews. And now, I think it was about time to make the second episode. 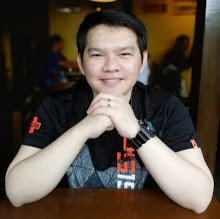 Just recently, I asked some suggestions from the Philippine gaming community on what budget gaming peripherals they are actually interested to check out. I got a lot of interesting suggestions with regards to different brands like Redragon, Rakk, Tecware, Gigaware, Aula, A4tech and many more. I've considered all of the suggestions and picked up some peripherals that are well around my budget of just below 3000 Pesos in total for this episode. And I will continue to pick items from this list moving forward. For the first product, we have this huge extended mousepad. For its price of just around 165 pesos, I think this is a steal. 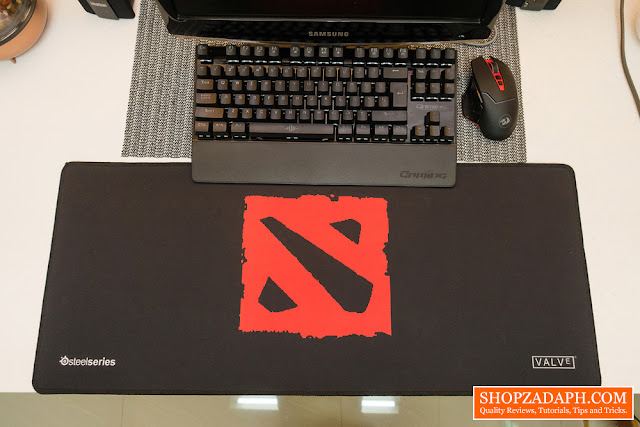 The mousepad is made of high-quality materials with stitched edges, and I actually didn't expect the logos to be this good, it's not pixelated as you might expect at this price point. The texture is on the smoother side which may or may not be an advantage depending on your own preference. The size is 700x300x3mm which is substantial enough to fit both a keyboard and a mouse as you can see on the image below. Overall, I'm pretty satisfied with this mousepad. For the second product, we have something from the popular local brand here in the Philippines, Rakk Gears. This is the Rakk Guinna Illuminated Gaming Headset. Another product that surprised me when it comes to its quality to price ratio. At just around 750 pesos (direct from Rakk)/850 pesos (Lazada), you're getting a comfortable gaming headset with decent audio. 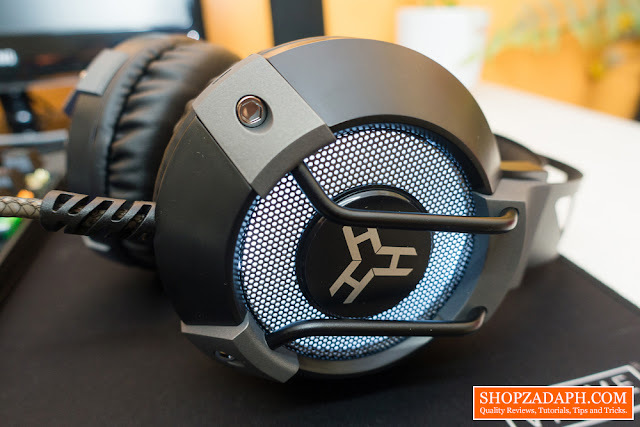 It doesn't have all the bells and whistles like fancy 7.1 surround sound, active noise cancellation and stuff like that, but as simple as it is, it looks like it can get the job done. I'll have this tested even further and I'll give you guys everything you need to know on the full review. 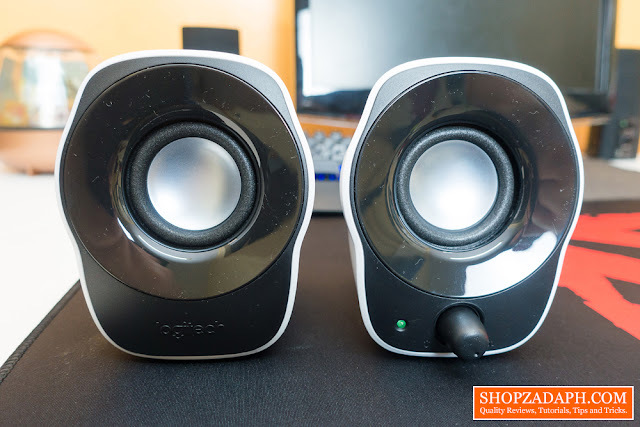 The third product we have here is a pair of speakers from Logitech, and I got this because I thought about the Philippine Gaming Laptop community and that we, laptop users, deserves a decent pair of speakers. This is the Logitech Z120 Compact Stereo Speakers coming in hot at just around 600 pesos. What I like about this is the design and the black and white colorway. As per my initial testing, the speakers pack decent and clear audio that can provide an ample amount of bass for its size, it can get pretty loud but it gets a little bit distorted at its highest peak, albeit, at that point, it's too much for a pleasant listening experience. I think the sweet spot would be around 70% volume. I'll provide you guys with the actual sound test when the full review comes out. 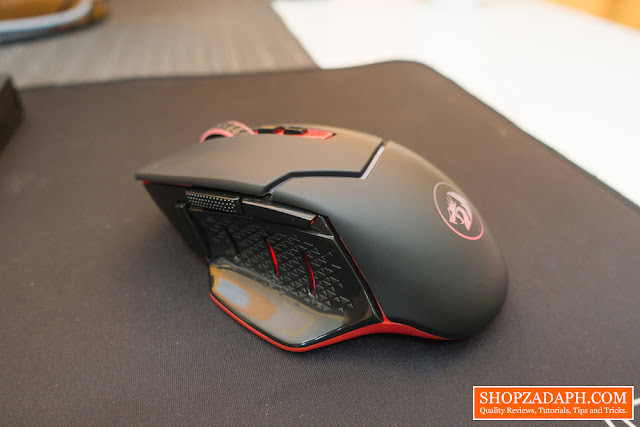 The next budget gaming peripheral we have here is from Redragon, another brand that provides affordable yet good quality gaming peripherals. This is the Redragon Mirage M690 Wireless Gaming Mouse. To be honest, I didn't expect much from this mouse considering its price of just around 660 pesos, but this one actually looks and feels better than I've expected. For my first impressions, this mouse feels comfortable in my hands and I appreciate the fact that it has a nice and smooth rubber matte finish on it. The buttons are also very satisfying to click and doesn't need much pressure to actuate. But then again, aesthetics doesn't necessarily mean better performance, I will test this alongside everything on this list for its actual gaming capability, and will get back to you with my final thoughts on the full review. The second to the last product we have here is the Tronsmart Premium Charging Cables that my wife ordered. 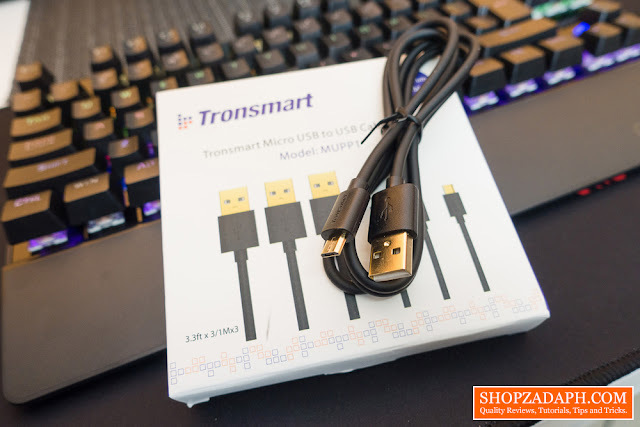 We've been using Tronsmart cables for more than a year now and its still working just fine, the cables are still intact and the connectors are still working properly. My wife decided to purchase the shorter 3ft version for portability and I figured, why not make a review about it. It comes in a pack of 3 for just around 320 pesos which in itself, is a good deal. I highly recommend this guys and I actually just released my Full Review about it here. 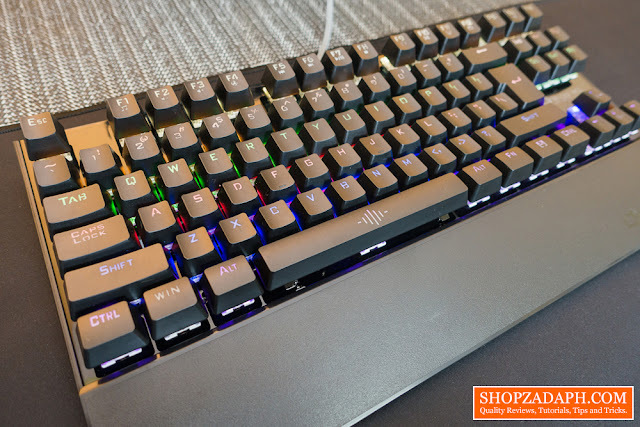 And last but not the least we have the cheapest mechanical keyboard that I can find on Lazada, this is the Morganstar Gigaware K28 Mechanical Keyboard. Isn't it amazing that we can now get a legit mechanical keyboard for just around 1000 pesos? albeit, just an OEM, it's still a mechanical keyboard. My initial experience is actually not bad at all, it does have blue switches that are pretty tactile, clicky and responsive. It's very loud as expected for a keyboard with blue switches but it's very satisfying nonetheless. It has a ton of different lighting modes that is very much appreciated at this price point, not to mention the braided cable and the sheer amount of weight to it. Durability wise though is, of course, a subject for further testing. I'll give this a week or two of testing and I will get back to you with my full review of this super affordable mechanical keyboard. I hope you guys enjoyed episode 2 as much as I did. It's like Christmas except that I had to pay for it myself. haha! anyways, you got the idea on what's coming up for the next few weeks, but also expect some other tech gadgets that might come out in between, plus some tutorials and tips and tricks. If you see anything you like on this list please consider using the links I provided to support me. Subscribe for more unboxing like this!